A prominent scholar reveals the surprising ways that capitalism is actually the best way to follow Jesus’s mandates to alleviate poverty and protect our earth. Christianity generally sees capitalism as either bad because it causes much of the world’s suffering, or good because God wants you to prosper and be rich. But there is a large, growing audience of evangelical and mainline Christians who are deeply uneasy about how to follow Jesus’s mandate to care for the poor and the environment while living with the excesses of capitalism. Now, a noted Christian scholar argues that there is a middle view that reveals Christianity cannot only accommodate capitalism, but Christian theology can help explain why capitalism works. 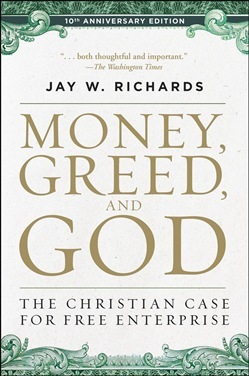 By highlighting the most common myths committed by Christians when thinking about economics, such as “capitalism is based on greed and over consumption” or “if someone becomes rich that automatically means someone else will become poor,” Money, Guilt, and God equips readers to take practical steps in their own lives to conduct business, worship God, and serve others without falling into the “prosperity gospel” trap. 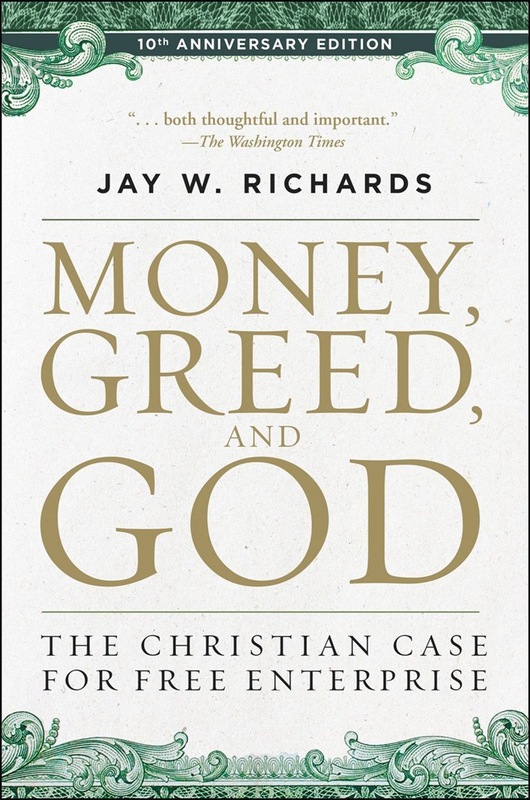 Acquista Money, Greed, and God 10th Anniversary Edition in Epub: dopo aver letto l’ebook Money, Greed, and God 10th Anniversary Edition di Jay W. Richards ti invitiamo a lasciarci una Recensione qui sotto: sarà utile agli utenti che non abbiano ancora letto questo libro e che vogliano avere delle opinioni altrui. L’opinione su di un libro è molto soggettiva e per questo leggere eventuali recensioni negative non ci dovrà frenare dall’acquisto, anzi dovrà spingerci ad acquistare il libro in fretta per poter dire la nostra ed eventualmente smentire quanto commentato da altri, contribuendo ad arricchire più possibile i commenti e dare sempre più spunti di confronto al pubblico online.